Camden City Hall is located at 1000 Lyttleton Street, Camden SC 29020; phone: 803-432-2421. Photo: Zachariah Cantey House, ca. 1795, County Road 92, Camden, SC. Listed on the National Register of Historic Places in 1983. Photographed by User:Bigskybill (own work), 2012, [cc-by-3.0 (creativecommons.org/licenses/by/3.0)], via Wikimedia Commons, accessed August, 2013. Camden, first called Fredericksburg in 1733, then Pine Tree Hill in 1758, was originally located south of the present town. It was named in honor of Lord Camden, British Champion of colonial rights. 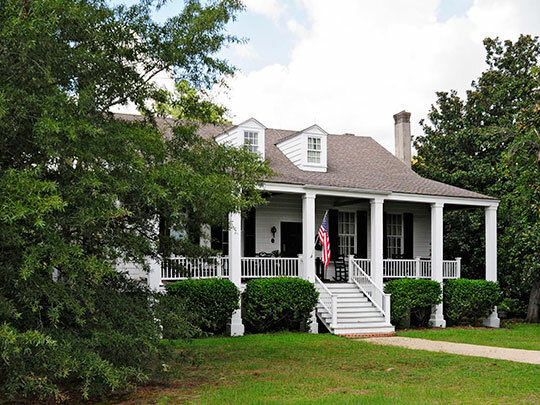 Strategically located at the junction of several Indian trails and at the head of the Wateree River, Camden proved a natural trading link between Charleston and the interior. Most of the original town was destroyed by a fire in 1813. This accelerated growth northward. Originally, the houses in this area were summer cottages, but by 1840 the northern Kirkwood area was a year-round residential community of handsome mansions and elaborate gardens, many of the homes being built around the cottages which survive today at their core. Nancy R. Ruhf, Historic Resources Coordinator, South Carolina Department of Archives and History, City of Camden Historic District, Kershaw County, SC, nomination document, 1971, National Park Service, National Register of Historic Places, Washington, D.C.